Enjoy a makeover of your bathroom, kitchen, or more! 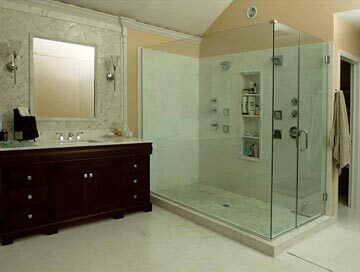 Contact us for a quote on your remodeling project. Out with the old and in with the new, Jack Edmondson, Inc. loves a good remodel! Bathrooms, kitchens, laundry rooms you name it, we can do it. We have extensive experience working with general contractors, architects and blue prints, turning dreams into reality. Remodeling is a great time to think about energy saving products and updating those old gallon guzzling toilets and leaky faucets! There are plenty of ways to save money when doing a remodel and choosing the right energy saving products will keep the green in your pocket for the long run. Simply replacing a leaky faucet can save you loads of wasted gallons each year. Installing products like the Kohler Dual flush toilet can save water and money every time your flush and don’t forget about those great high efficiency washer and dryers that will benefit you in the long run as well. Call today and we can help you choose the right products for your home and budget.